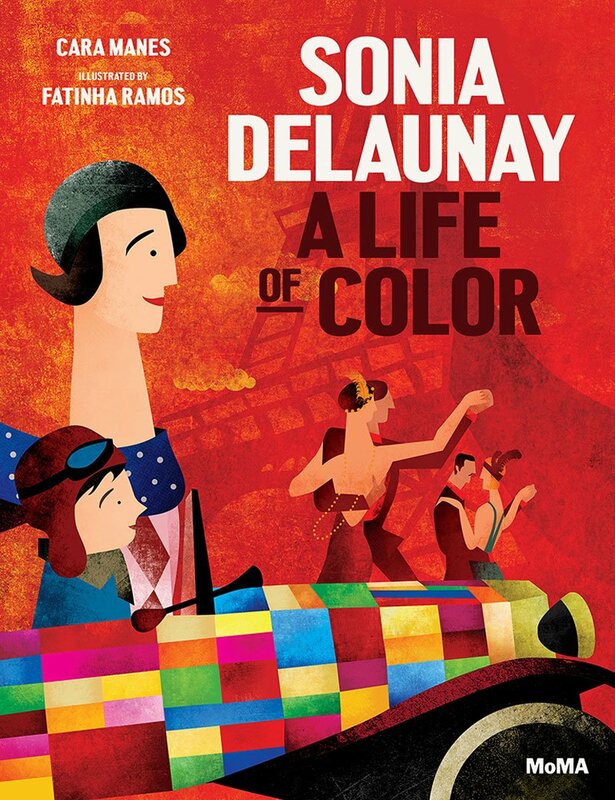 Sonia Delaunay (1885–1979), painter and textile, theater, and fashion designer, made enormous contributions to the development of abstraction in the early 1910s. In this new book, Delaunay and her six-year-old son Charles have a fantastical adventure in their car, modeled after her 1925 design for a Citroën convertible. They glide into a landscape of colors and shapes, as if they’ve driven into one of her paintings. Delaunay helps Charles understand her artistic process by asking him what shapes and colors he recognizes along the way, and Charles realizes that his mother’s thoughts about art permeate every aspect of their life.